Hi all, hope you all are having a Happy Easter! This month I am looking at Filters in PSE and of course they are found in PS as well. If you don't have either of these programs then please read through to get the gist of what the challenge is about and then see what you can come up with in your own programs. Filters can be used to clean up or retouch your photos, apply special art effects that give your image the appearance of a sketch or impressionistic painting, or create unique transformations using distortions and lighting effects. The filters are located under the Filter menu. Some filters are created by third-party developers and are known as plug-ins. After downloading and installing a plug-in it is then available at the bottom of the Filter menu. To use a filter, choose the appropriate sub-menu command from the Filter menu. You will see there are quite of lot filters available to use and you can create further interest on your photos by combining several filters together as well. - Filters are applied to the active, visible layer or a selection. - Once you apply a filter you cannot go back and change or tweak the filter (unless you change your layer to a Smart Object - only in PS). 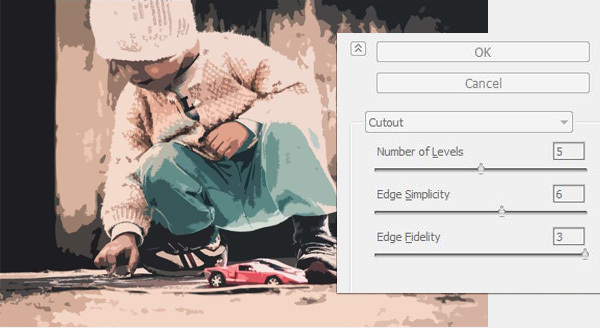 - You can stack one filter on top of another in the Filter Gallery but again, you can not change or tweak the individual filters unless they are applied to a Smart Object (Only in PS). - Filters cannot be applied to Bitmap-mode or indexed-color images. - Some filters work only on RGB images. - Some filters are processed entirely in RAM. If you don’t have enough available RAM to process a filter effect, you may get an error message. - Most of the filters will open in the Filter Gallery where you can play around with the settings, change to a different filter or even stack more than one filter on top of each other. Lately I have been using two filters, the Cutout and Halftone, for some of my layouts as they give such a great effect when combined. Here is my finished page for this challenge below, with both the Cutout and Halftone filters applied. For this month's challenge you will be using both of these filters as well! Step 1. Duplicate the original photo layer twice. Step 2. CHECK that the default Foreground (black) and Background (white) colours are active. From the Filters menu select the Filters Gallery command (or press CTRL+F). Note: I could have added the Halftone filter on top of the Cutout filter in the Filter Gallery itself, but I wanted to have more control over how much of each filter I wanted showing so I went with applying the filters to separate layers. Step 5. I changed the Blending mode for the Halftone filter layout to Soft Light, 100%. Step 6. Next, on the original photo Background layer, I clicked on the small padlock icon to 'unlock' it and turn it into a normal layer. Step 7. I then moved this layer up to the top, above the Halftone filter layer, and changed the blend mode to Color Burn and reduced the Opacity to 42%. Note: As always it all depends on the type of photo you use, so make sure to play around with some different ones. Also, make sure the photo has distinct contrasting tones as the cutout and halftone filters work better on contrasting tones rather than flat tones. Step 8: I then locked the three photos together and moved them onto my 12x12 layout and went and ahead and scrapped the page. 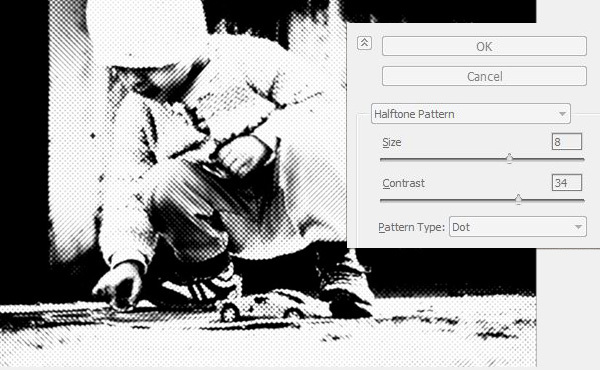 * Create a layout using the two filters I used, the Cutout and Halftone. If you do not have these filters in your program then create a page with two filters you do have and let me know in the thread post what you used. * Your page must be posted in the Challenge 4 Gallery by midnight PST April 30th, 2018 and linked back to this thread. If you have any questions then please ask away and I am so looking forward to seeing what you all create!! Last edited by wombat146; 04-12-2018 at 11:48 PM. LOVE using filters! This will be a first as I have never combined these two. This was fun to do, love the effect and so easy once you know how. OK here it is. My only difficult part was steps 5,6, and 7. When you do a blend there has to be two photos and you make the top photo active to add the blend. In step 5, I wasn't sure what photo was on the top and what photo was on the bottom to add the Soft Light blend. Hope I did it right. It was FUN!!!! I had the same problem of remembering which layer was which so I named the layers after the filter I used- that made life much easier. 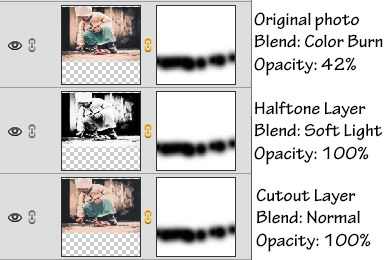 When you are working with Filters it does help to name the layers. But as you can see in my screen shot in the first post, the original photo layer was the bottom layer up until it was moved to the top of the photo layers. So after applying the Filters I moved the original photo layer to the top and changed the blend mode to Color Burn at 42%. This filter example was easy in the fact that we only used two filters + the original, it can get very confusing when you might have several layers of filters so it helps to name them. Thanks for the cool technique!